Simple. Fast. Secure. DocuSign nearly every agreement with just a few clicks on your mobile device. "Incredible! My favorite app of all time! Thank you for creating such an easy and intuitive experience for signing documents." From start to finish in minutes! The DocuSign electronic signature app provides consumers and professionals with a simple way to electronically sign and return documents from almost anywhere in the world, using practically any device. Conduct business securely and efficiently from almost anywhere in the world, using practically any device. "Using DocuSign has made me 100% paperless and gives me an extra day per week." It’s your business. Only faster and more secure. DocuSign’s mobile app empowers professionals to get work done faster, without being tied to the office. Prepare and send documents for signature and payment collection, complete in-person signing, and get instant visibility into your document status directly from your smartphone or tablet using our electronic signature app. Empower your workforce for success and delight your customers. "DocuSign gives Sales Reps the ability to meet with a customer, draw up a proposal and contract right there, and then sign on the tablet in just one meeting." Accelerate your business. Engage your customers with an eSignature app for practically any device. 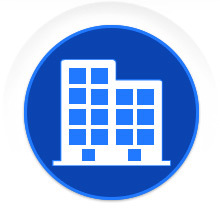 With DocuSign, employees can securely send, sign and manage nearly every agreement from almost anywhere in the world. 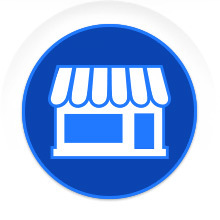 Your customers can quickly and easily complete transactions from their smartphone or tablet. 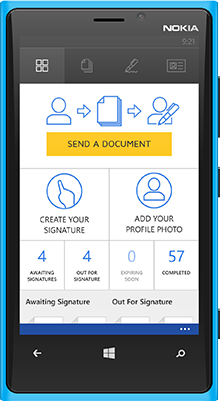 DocuSign offers online signature apps native to every major mobile platform. Harness the power of the world’s most trusted eSignature and digital transaction management solution in your mobile app. "Customers will love the ability to manage digital transactions and get documents electronically signed with our mobile app build using the Docusign mobile SDK"
Integrate DocuSign into your app. Delight your customers. It’s that simple. Enable your users to complete contracts, open accounts, set up and confirm deliveries, and finish employment forms in minutes directly from your app. 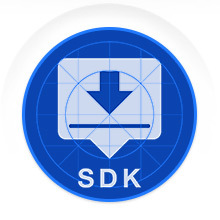 Integrating DocuSign’s easy-to-use, secure capabilities into your apps with the DocuSign Mobile SDK is fast and simple. "This app is amazing. Places fields, recognizes forms, and let's you import and sign anything from anywhere - anytime! I'm a DocuSign addict." "App is intuitive, so you don't need to read a bunch of instructions to use it. Just download and start signing documents! Very cool!" "Needed a few documents signed right away. This app made it tremendously easy without hiccups. I wholeheartedly recommend this app." "This app is brilliant! I added my signature easily and added my signature to my Word doc in seconds. The interface is intuitive. Great work!" "Saves me the hassle of having to print out a document, sign it, rescan, and send. It can all be done quickly and easily on this app." 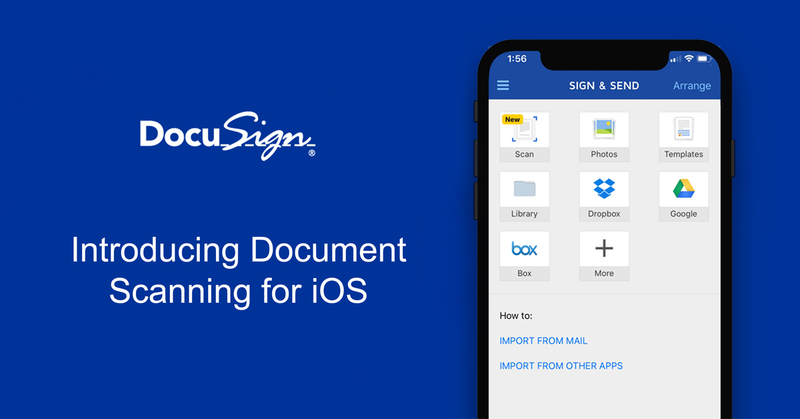 Introducing the new document scanning feature for DocuSign mobile. Users of our apps are now able to easily convert a physical document into a readable PDF ready to e-Sign. Can I use the mobile electronic signature app with my existing DocuSign account? Yes, download the DocuSign Mobile app and log in with the same username and password used when logging in from the web. All your documents and activities will sync across all your devices into one centralized DocuSign account. Do I need to have a DocuSign account to use the mobile app? Yes, you can download the mobile app and create a free DocuSign account directly within the app to get started. Signing is always free and you can send three free signature requests with your free account. Download the app today! Is the DocuSign mobile app free? 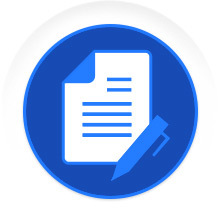 Yes, the DocuSign mobile eSignature app is free to download. Current customers can log in with the same email and password to access to their account. New customers can sign up for a free account directly within the app. Can I make payments from a mobile device? Yes, with DocuSign Payments, you can electronically sign and pay in one step, from any mobile device, using a major credit card or familiar payment methods like Apple Pay and Android Pay via Stripe. You can also request payments from others. Do my customers need to download the mobile app to sign? No, the mobile app is not required for your customers to sign and return documents. However, downloading DocuSign's online signature app offers additional features with a free account, including push notifications when a document is waiting for signature, centralized storage for all their completed documents, native signing experiences and more. On what devices does the mobile eSignature app work? DocuSign has a full suite of mobile apps available on iPad, iPhone, Android devices, Windows 8, Windows 10 and Windows Phone devices. If I buy a DocuSign subscription through the mobile app, can I still use the web version? Yes, you can access your subscription features across any device and platform. Simply log in to www.docusign.net with your username and password created on the app to access all the same great features.